With over fifteen years in the industry and thirteen of them at Ubisoft Montreal, Jonathan has held various roles in Game Design, Level Design and Art on games such as Peter Jackson’s King Kong and Far Cry 2. 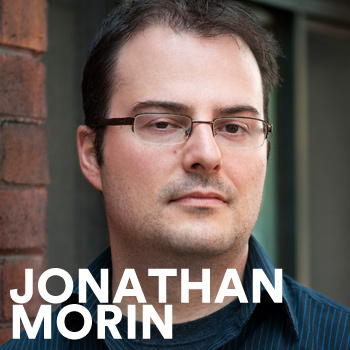 For the past couple years, Morin has worked as Creative Director on Watch_Dogs. In university Morin studied Human Science, Computer Science and briefly considered a career in mathematics education but chose to apply these skills in an environment that would be a bit less predictable. At the upcoming D.I.C.E. Europe conference, Morin will be speaking in a session titled, “Mind the Gap - Igniting People’s Sense of Wonder.” Morin tends to see games like musical instruments built for players to blow our minds with their creativity. It’s an apt analogy but bringing everyone in a development team to think this way is challenging. After all, every brain is different. Working on a game as big as Watch_Dogs made Morin realize that no matter how big the game is, or how many people are involved, or in how many countries, often the biggest borders he faced are hidden in an inevitable “gap” between two minds. “Mind the Gap” is a session that explores the importance of listening to others and challenging your own creativity. In this session, Morin will look at how these perception gaps impacted every aspect of his reality: his interactions with executives, the team, marketing, press, and ultimately how players play. In the end, Morin feels the hardest borders to cross are the ones we create in our own minds. Marvel Puzzle Quest, The Room Two & Tomb Raider: Definitive Edition. I am looking forward to having my mind blown away and not knowing which game it will be. That is part of the excitement. Memory of a Broken Dimension (By XRA) – I played it in an Indie Show in Montreal while it was still early in development. It ignited my desire to understand and explore its systems in ways I had not felt for a very long time. I’m not sure if the game is out yet but it’s a very intriguing beast. I like the way Richard P. Feynman was looking at the world. I’m no Physics expert but this guy had a talent to teach you the essence of his thought process on any subject. For my humble brain, his most accessible work inspired me greatly on how to look at things in design and how to interact with people creatively. Twitter – for its unique perspective on players & Zite – for interesting news findings. I love those small cube speakers you can chain together into a network to play your mobile’s music anywhere. It is a bit old-school now but I guess l like them for that reason.